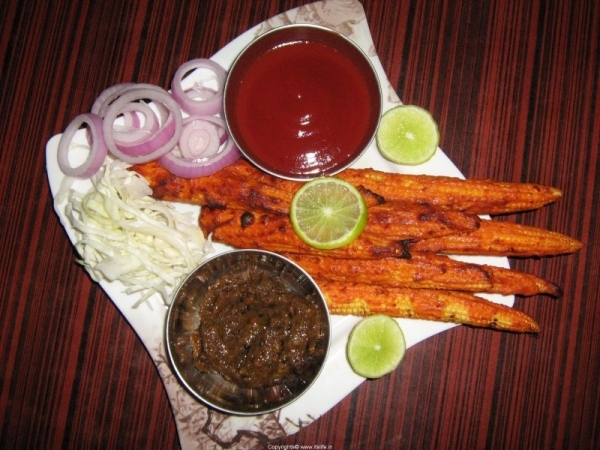 Grilled Baby Corn is a very tasty dish to be served as a starter. Tie the curd in a muslin cloth and hang it till all the water drains out. Put the curd in a bowl and add Red Chili paste, Ginger Garlic paste, Garam Masala Power, Oil, Black Salt, Salt, Cumin, Cardamom and Chili powders. Mix well. Marinate the baby corn well in this masala paste. Grill the marinated baby corn in a hot tandoor or in an oven till done. Serve with Tomato Ketchup and Chutney. Yes Madhura, It is very healthy too as it is grilled. Yes it is Kavi. Do try it out.